Glad you made it! Bookmark this blog **Right Now**, because I don’t want us to lose each other. We have a tendency to like new and shiny things? and have a hard time staying on one task.? We know this about ourselves and want to make a change, but we need help! We are a group of thinkers? and starters? with a desire to be consistent finishers?. We need to know we aren’t at this alone and that someone really cares. We don’t want to just read how-to’s on blogs (even though there helpful), we want to talk to people to get encouragement, feedback, and results. Join our newsletter to get a link to our free Facebook group to join the conversation. Only if ….You’re tired of being a basic mom. 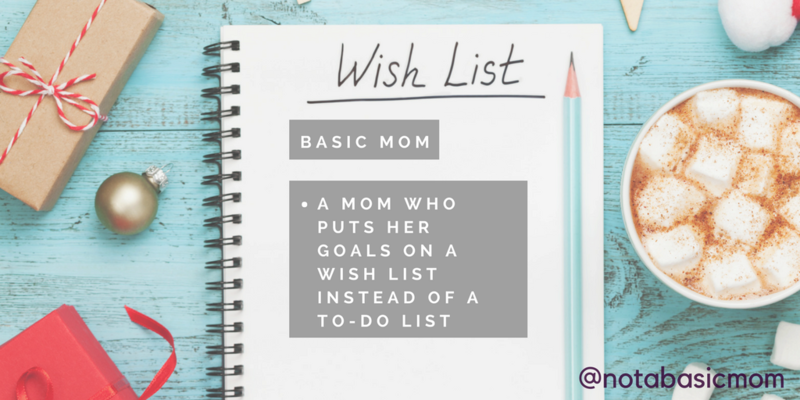 Our definition of a Basic Mom: A mom who puts her goals on a wish list instead of the to-do list. Join us only, if you have decided you are not a basic mom. I know we wish we had a genie in a bottle or could just snap our finger to finish our task. Until that magical day happens, I’m going to be sharing my journey to getting stuff done. I want to help you take action and complete your goals. You’ll be able to find goal setting hacks, money saving tips, travel advice to get you closer to your goals. I know what’s it’s like to feel alone, to feel like you’re not good at anything. Wondering if you will ever find your purpose? Will you ever follow through? I’m here to tell you, Sunshine☀, you are A-MAZING and you are fearfully and wonderfully made. Let’s do this together and start a movement of being #notabasicmom.